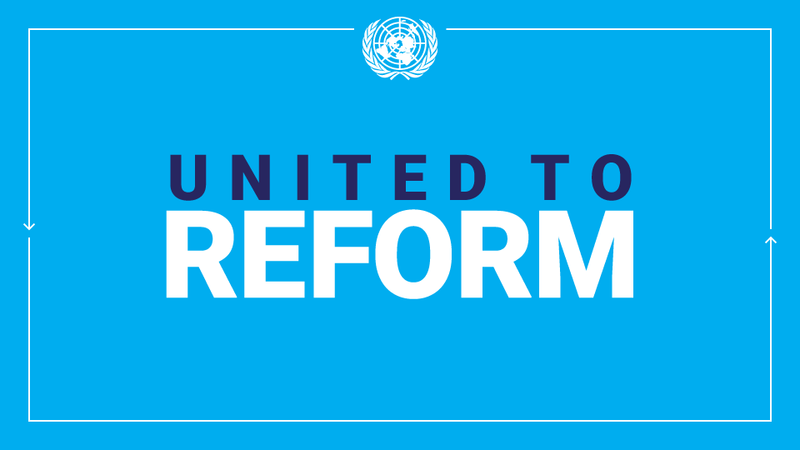 The United Nations took a major step on the road towards crafting a new, sustainability-focused agenda, as two of the Organization’s main bodies – the General Assembly and the Economic and Social Council (ECOSOC) – brought Member States together to weigh action-oriented solutions for mobilizing new and existing development partnerships. “We must mobilize our joint efforts to utilize the full potential of a partnership approach. These partnerships should be formed at all levels, from grassroots to national, regional and global,” declared ECOSOC President Martin Sajdik, in remarks to the opening session of the two-day event, which featured a keynote address by renowned businessman, Tony Elumelu, Chairman, Heirs Holdings, and founder of an eponymous philanthropic organization. The UN has embarked on a major effort to achieve a new post-2015 development agenda to succeed the landmark Millennium Development Goals (MDGs). Those targets, agreed by world leaders at a UN summit in 2000, aim to slash extreme hunger and poverty, cut maternal and infant mortality, combat disease and provide access to universal education and health care, all by the end of 2015. But these targets, which also include bolstering the global partnership for development, will not be reached in many countries and areas, and the Organization aims to incorporate them in an even more ambitious post-2015 agenda for economic growth, social development and environmental sustainability. Providing details about the joint Assembly-ECOSOC meeting, which will be built around a series of panel discussions, Mr. Sajdik said the talks will examine ways in which the transformative post-2015 development agenda can best be supported by multi-stakeholder partnerships that responds to sustainable development and complement intergovernmental efforts to shape a renewed global partnership for development. He urged Member States to keep the spotlight squarely on the needs of the most vulnerable countries, including landlocked and least developed nations, small islands and African countries emerging from conflict, all of what are far behind in their efforts to achieve the MDGs. “We must create new partnerships and scale up existing ones, in order to meet the challenges faced by these countries head on,” said Mr. Sajdik. Mr. Ashe said a strengthened global partnership for development should be based on mutual respect and trust, the fulfilment of previously agreed commitments and a renewed accountability framework, including means of implementation. As such, an enabling environment must be created to support national measures. With all this in mind, Mr. Ashe said the UN is uniquely placed to forge new and innovative partnerships, bringing together stakeholders from around the world and all corners of society: Government, private sector, civil society, and the academic and scientific communities and in using its agencies at the national and regional levels to support the development policy and programmatic efforts of Governments. In his remarks to the meeting’s opening session, Secretary-General Ban Ki-moon said the UN system is now rapidly increasing its work with such new actors, which have been helping accelerate the Organization’s efforts to achieve the MDGs and bringing fresh perspectives to how development challenges can be tackled. “Demands on the United Nations are much greater than our resources to meet them. Mandates are continuing to grow. We have to broaden our resource base to deliver on our goals for funding, institutions and networks,” he continued, adding that to bring all partners together, UN Member States must adopt a strong, united position in support of more and better public financing so the Organization can better leverage private financing and support of its goals. The UN chief said that his proposal for a Partnership Facility, submitted to Member States for their consideration and approval, is precisely meant to ensure the Organization is equipped both with the capacity needed to harness the strengths of external partners – and the ability to ensure a coherent and accountable approach. For his part, Mr. Elumelu said that to succeed, the post-MDG agenda must harness the best of: the political will, resources, incentivizing and convening power of the governmental sector; and combine it with the compassion, selflessness and dedication of the non-profit sector; the innovation, expertise and, financial capital of the private sector; and the drive, creativity and entrepreneurial spirit of the very people that should benefit from these efforts. “This is how we will transform the world we live in and truly make poverty history,” he declared.